Figure 7. 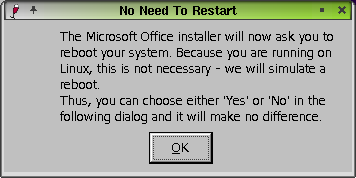 The CrossOver Office 1.0.0 No Need to Reboot dialog box. « Back to CrossOver Office: The Killer App for the Linux Desktop?